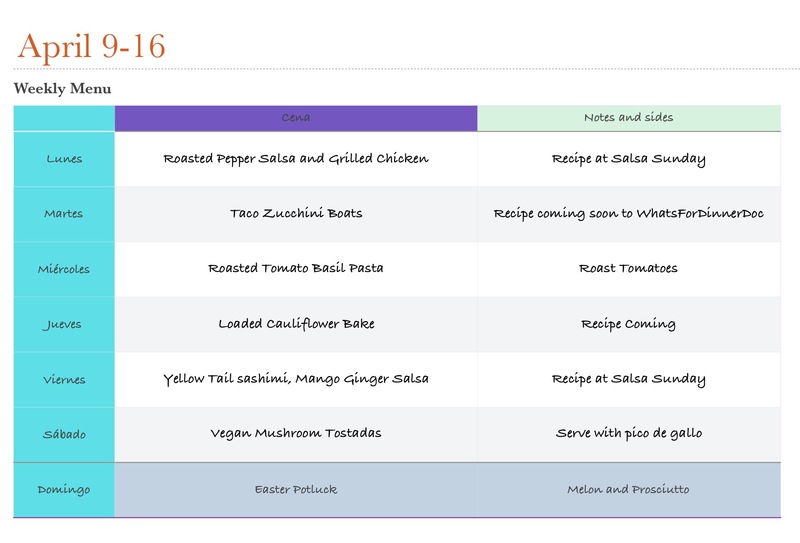 Meal Plan April 10-16 – What's for dinner, Doc? Writing a meal plan for the week will help you eat healthier foods, save money by eating at home and use the fresh foods that you bought before everything goes to waste (you know you do this, right?) Besides who doesn’t love to be organized even on the laid back Baja? Some days I can’t even find two flip flops that match, much less think up a fast nutritious meal. Believe me, at 4 pm, I need a plan. Make a plan to eat real food for your health and happiness. If you must eat out here are some tips for staying healthy and maintaining your nutrition goals when aren’t at home. Healthy Eating. When my kids were small I used to make out meal plans…even aisle by aisle shopping lists. With dietary issues that I have I think I seriously need to consider going back to this practice, even though it’s just the two of us. Thanks for posting this, Doc. I think it’s more difficult to plan for two people. It’s easier to enable each other to “just go out” or eat something “fast” when there’s no children to feed. Thanks for reading Rochelle. What a great idea to have a meal plan for the week! I have to get more organized for sure. I found out that for me it is much easier to precut veggies etc…too. I don’t always follow the plan strictly but it does remind me to eat the foods I have available.